The vintage Rolex market has absolutely exploded in recent years, with even the most common and plentiful of vintage sport watch references now breaking the five-figure price point. That being said, not all vintage Rolex watches are reaching astronomic levels of resale value, and there are still a number of references that remain excellent entry points into vintage Rolex ownership. Certain collectable references such as the 5512 Submariner or the 1675 GMT-Master will likely never again be within the entry-level price range for the budding vintage Rolex collector who can only allocate a few thousand dollars towards his next acquisition; however here are a few excellent and timeless vintage Rolex watches that won’t break the bank. 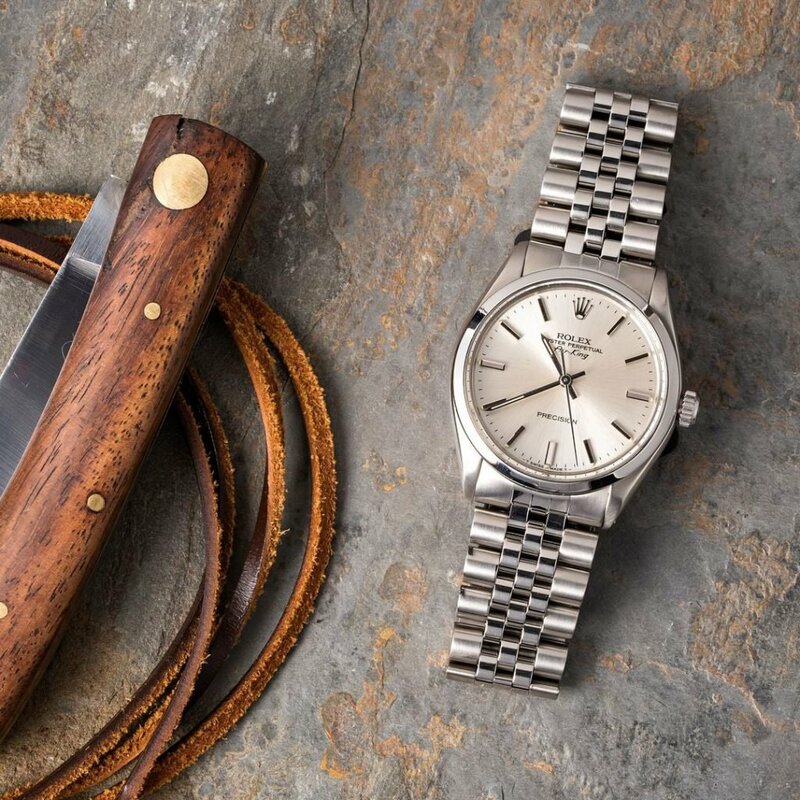 The reference 1601 is the archetype of the vintage Rolex Datejust. Manufactured throughout the entirety of 1960s, and most of the 1970s, the reference 1601 is the quintessential Datejust watch with a distinctly vintage look and feel. At 36 mm in diameter, and with a fluted bezel and Cyclops magnification lens on the acrylic crystal above the date display, the reference 1601 checks all the boxes for classic Rolex design traits. The reference 1601 is the Rolesor (yellow, white, or rose) version of the men’s Datejust; all stainless steel variants were assigned either 1603 (engine tuned bezel) or 1600 (smooth bezel) reference numbers. Depending on their year of production, reference 1601 watches were fitted with either caliber 1565 or 1570/1575 movements, and some time around the very early 1970s, hacking was added to the caliber 1570/1575. The most distinct feature of the reference 1601, which helps sets it apart from all subsequent Datejust references, is its “pie pan” dial that slopes downward towards the outer edge where it meets the case. These “pie pan” style dials, which were also used on the Day-Date from the same era, are emblematic of an earlier time in Rolex’s history, and help to give the reference 1601 a decidedly vintage aesthetic. The Air-King line was initially created to be a simple and reliable watch that could occupy an entry-level position in Rolex’s catalog. Decades later, the Air-King line still represents an entry point into Rolex ownership, and both vintage and contemporary references provide some of the best value for the money of any Rolex watches. At 34 mm in diameter, and crafted from stainless steel with an acrylic crystal, the reference 5500 is a humble watch with classic styling and a minimalist feature set. As it was intended to be one of the more affordable options within Rolex’s lineup, the reference 5500 was not COSC-rated, and was instead fitted with either Rolex’s caliber 1520 or 1530 movement. Consequently, the reference 5500 has one of the cleanest and least text-heavy dials that Rolex has ever put forward, as it does not have the accompanying “Superlative Chronometer Officially Certified” on it. Due to its remarkably long, 37-year production run and consumer friendly price point, a large number of reference 5500 watches were manufactured and sold. As a result of their high production numbers, a decent number of reference 5500 watches are still in existence today, and although certain rare dial variants can fetch a premium, most can still be purchased at a relatively modest price point. 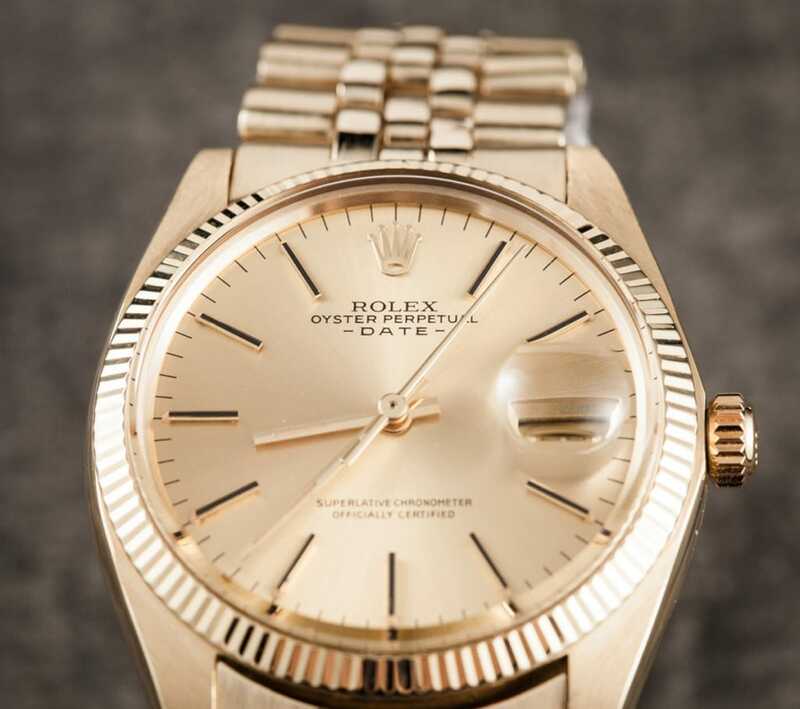 An all-gold Rolex has become an internationally recognized symbol of wealth and success; however an 18k Day-Date President can hardly be considered an entry point into vintage Rolex collecting. For those who want an all-gold Rolex, but who would also like something a little more budget friendly to be the start of their collection, the reference 1503 Date is an excellent option that checks all the boxes with an unmistakably vintage look and feel. Unlike the 36 mm Day-Date that is made entirely from 18k gold, the reference 1503 Date has a case diameter of 34 mm, and is instead crafted from solid 14k gold. Internally, the reference 1503 relies on the same caliber 1565 or 1570/1575 movements that Rolex used to power their Datejust watches from the same era, despite the 2 mm difference in external case dimensions. With a fluted gold bezel and a Cyclops magnification lens on the surface of its acrylic crystal, the reference 1503 has the unmistakable appearance of the classic gold Rolex watch. 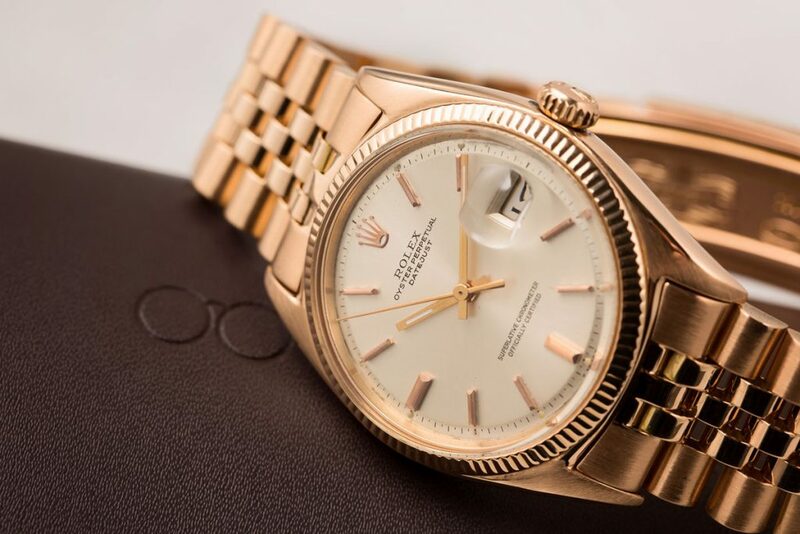 Despite their solid gold construction and accompanying 14k Jubilee bracelet, reference 1503 watches can easily be found for well below the five-figure price point, and are an excellent and more affordable alternative for individuals who want an all-gold watch to add to their vintage Rolex collection.